Denali Fickus (left) selects a bouquet of fresh cut flowers from The James Ranch's Laura Columbel (right) during a Nevada County Grower's Market in this archive photo. 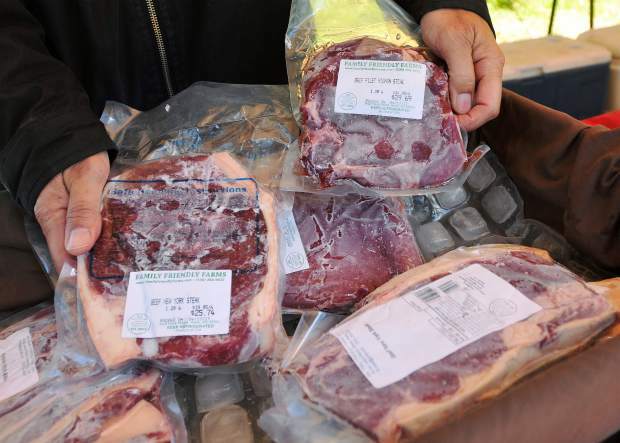 Phil Zeiter from Grass Valley Family Friendly Farms, shows some steaks from their grass fed beef selection. 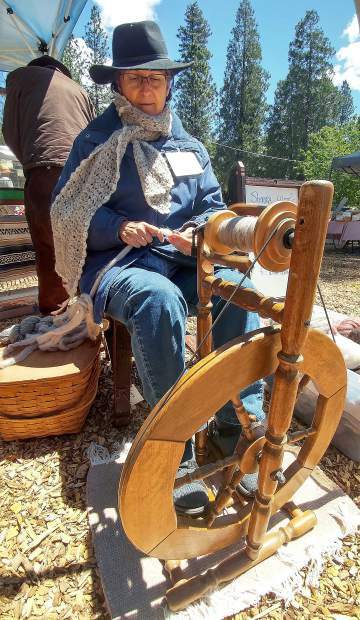 Barbara Engle, who runs Sierra Wools out of Penn Valley, uses a traditional spinning wheel to spool her wool that she has for sale at the grower's market. 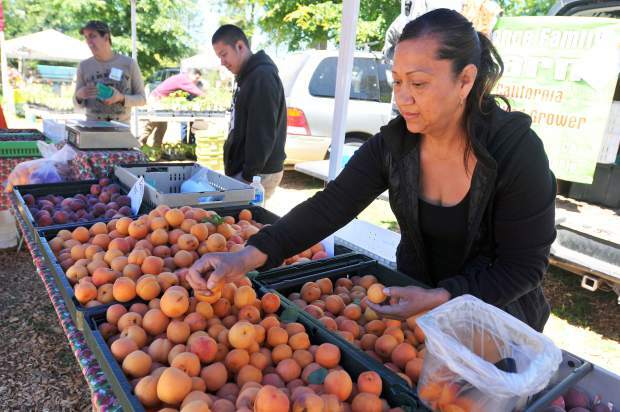 Delhi's Leticia Monzon from Ponce Family Farms, bags a selection of sweet apricots during Satruday's market at the North Star House. 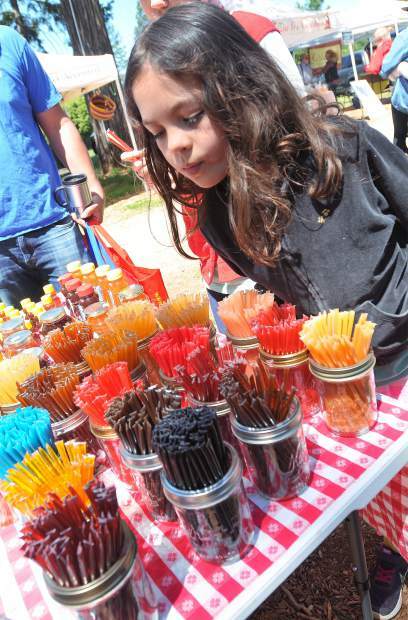 Eight year old Rivven Rehrer takes a closer look at the different honey sticks available from McClaughry Farms out of Grass Valley, who specializes in local and flavored honeys. 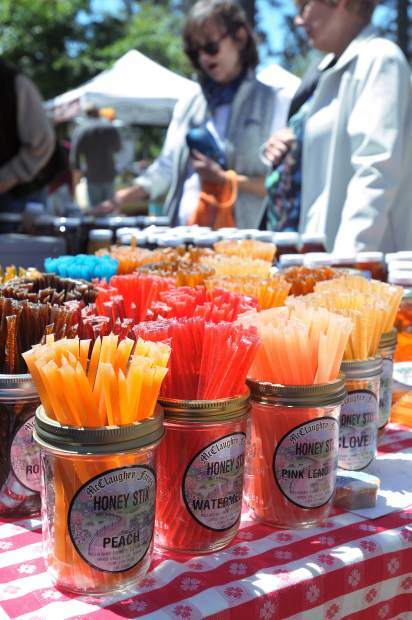 McClaughry Farms out of Grass Valley specializes in local and flavored honeys available during the Saturday growers market at the North Star House. 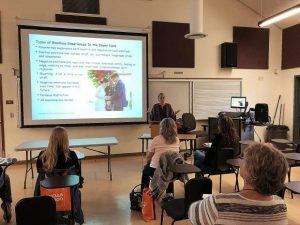 Growers of local produce and craft makers from in and around Nevada County gathered on the greens of the historic North Star House to sell their wares at the Nevada County Certified Farmers Market Saturday morning. The smells of botanical infused soaps from Nevada City’s Deer Creek Botanicals invited shoppers along with Mother’s Day specials. 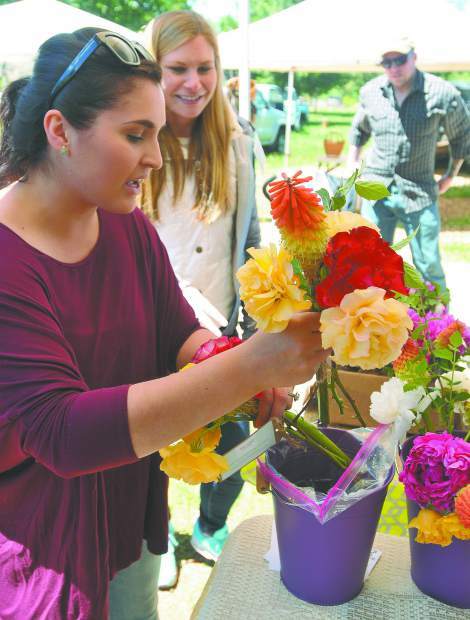 Nearby, Laura Columbel’s collection of fresh flowers nearly sold out by the end of the day. 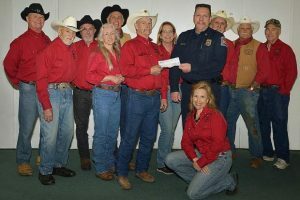 Columbel grew the flowers on The James Ranch in Penn Valley where sheep manure is used as fertilizer. The family also offers grass-fed lamb meat as well as wool from their family ranch. 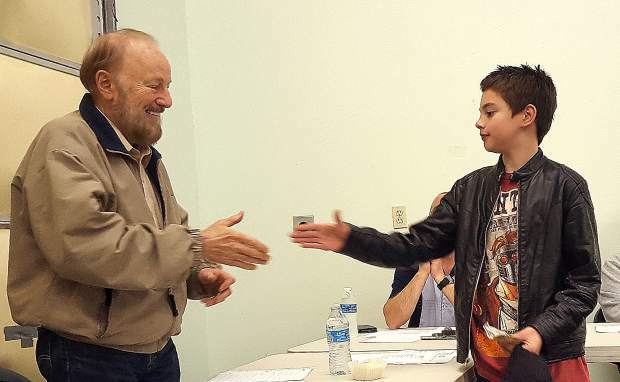 Other vendors offered fresh fruit, vegetables, local honey, and arts and crafts. 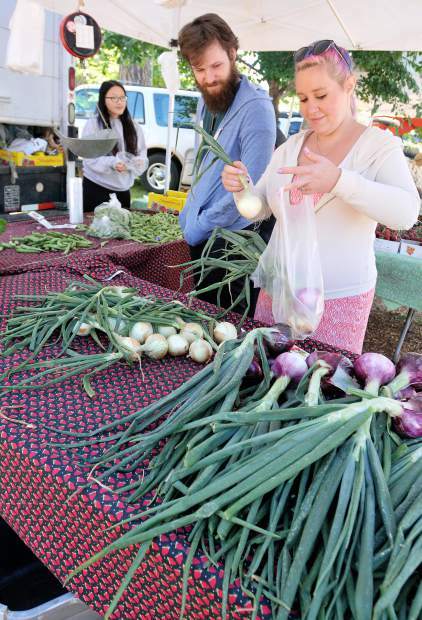 The Nevada County Certified Farmer’s Market continues through Nov. 18 on Saturdays at the North Star House, Tuesday mornings at Nevada County Horsemen, and Thursday mornings at Western Gateway Park in Penn Valley.